Acumen works with authors to assist them to publish their works. Consultation, writing, editing, design, artwork, conversion to electronic formats. Whether your book is a personal project, or one you believe has a wider audience, we can help you get your idea into high quality print and then listed in sales markets such as Amazon and iTunes. Contact Craig Lauridsen to discuss how we can assist you - email or phone 021 966277. Thought provoking and inspiring stories of Advent and Easter - two great Christian celebrations. Seventeen stories from people who were near the action. 38 pages, with full page colour photographs placing each story in a modern setting. These inspiring and quirky stories, from the author's imagination, are based on stories straight from the Bible. 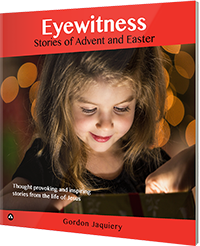 What would the story look like from an eyewitness? A different point of view from the traditional stories, these tales challenge the reader to think for themselves about the things Jesus said and did. The stories are told from the unique perspective of people such as: a temple worker, a pigeon trader, a neighbour from Nazareth, a donkey farmer, a servant of the High Priest and many more. Email us for enquiries about bulk orders, invoicing and promotion. 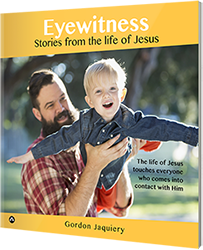 Gordon Jaquiery has always been a story teller, whether as a school teacher, a Bible teacher, a builder, a gardener or a sports fan. These stories were first read aloud to children’s church as a way of presenting the timeless importance of stories in the Bible. This is the first time he has put his stories into print to share his inspiring and quirky viewpoint. He lives by the beach in Titahi Bay, Wellington. He has three children and 16 grandchildren. The life of Jesus touches everyone who comes into contact with Him. 17 stories from people who were near the action in well known Bible stories. 38 pages, with full page colour photographs placing each story in a modern setting. These inspiring and quirky stories, from the author’s imagination, are based on stories straight from the Bible. What would the story look like from an eyewitness? A different point of view from the traditional stories, these tales challenge the reader to think for themselves about the things Jesus said and did. The stories are told from the unique perspective of people such as: Joseph's Dad, a villager who knew the woman at the well, Lazarus, fishermen who watched others called by Jesus, Thomas, Nicodemas' wife and many more. Click here to see table of contents and sample pages. Story is the heart of the Bible. In Eyewitness, Gordon introduces us to familiar stories through the eyes of unfamiliar people. He invites us to be in the places and with the people Jesus knew and helps us to ask ourselves: How might I have reacted if I had been there? An imaginative book for people of all ages. It has been said that the shortest link between truth and the heart is story. Here are some short links. They won’t tell you the words of the New Testament, but they will help you, and more importantly your children, feel what those events might have been like. Come on in and wonder. Brilliant! I’m an over-30-years teller of Bible stories, and this a wonderfully personal way of telling the stories of God in His word. I love the way each character draws the reader into their world. What a wonderful way to encourage children to explore a variety of Bible stories and learn about people who loved God at the same time. These stories are a gentle way to encourage children to think about what it means to love God for themselves. Kings and prophets, miracles and mistakes. God's people present His unfolding story through 17 stories from the lives of Old Testament characters. 38 pages, with full page colour photographs placing each story in a modern setting. 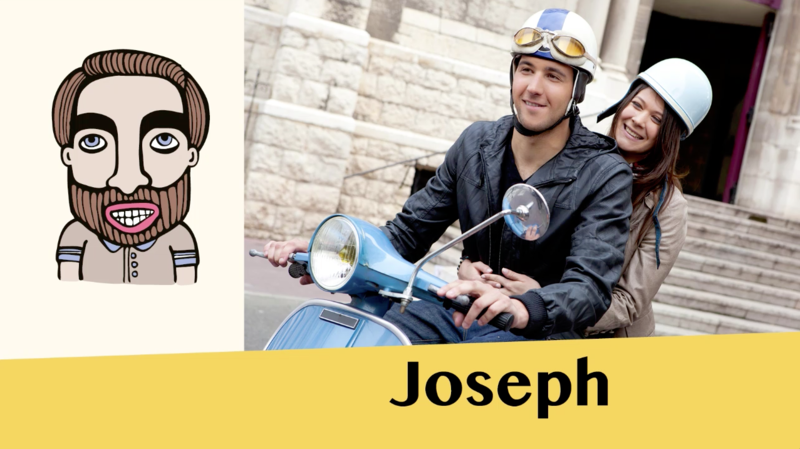 These inspiring and quirky stories, from the author’s imagination, are based on stories straight from the Bible. What would the story look like from an eyewitness? A different point of view from the traditional stories, these tales challenge the reader to think for themselves about what it would have been like to be there. 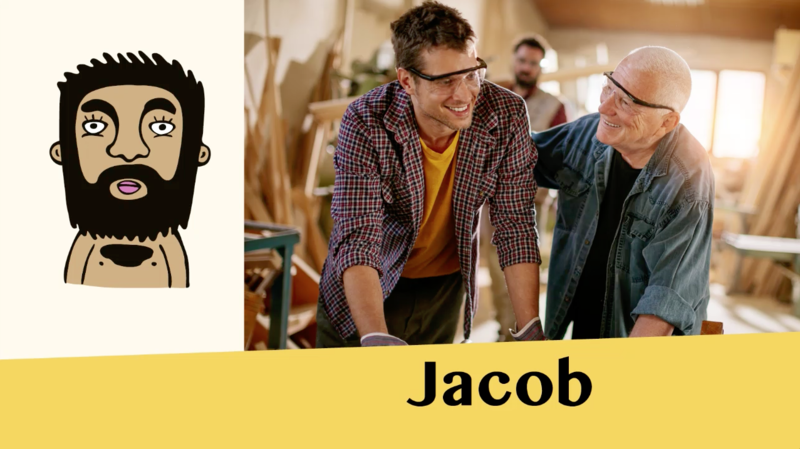 The stories are told from the unique perspective of people such as Joshua, Ruth, Elijah, Elisha, Naaman, David and Jonah. This is a great way to tell Bible stories! I especially like the way the stories are written seemingly first hand, adventurous and factual. Great pictures and photos, with people from different ethnic backgrounds. It’s a unique style. My mother tells the story that when we were tenting and Dad was in full swing with our bedtime stories she noticed a crowd outside the tent, straining to hear. And it wasn’t just children! I hope lots of parents enjoy retelling these timeless tales and creating a legacy of story in their family. A well-told story is very powerful. It can teach, challenge, and help us understand. In person, Gordon Jaquiery is a gifted story-teller for all ages. 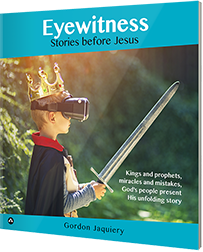 Here, he re-tells famous Old Testament stories through the eyes of people who might have been eyewitnesses, evoking both enjoyment and emotion while giving the reader an opportunity to reflect and learn. This book is fresh and powerful. This is a wonderful collection of Bible stories before the time of Jesus, told with humour and imagination. They cast new light on well-known tales, and introduce ones which aren’t told as often. They invite us to find ourselves in the stories of everyday people who encounter God in the midst of their lives. I enjoyed reading Gordon’s stories. As a resource for Sunday School Teachers and Children’s Ministry Workers, I think they are good. Gordon has done a nice job of summarizing the stories and making them fit in to consistent length/timeslot for storytelling. His language is concise and well-organised. For children to read independently I would recommend this book for children 10 and up. As a read-aloud, I would suggest children 6 and older. I admire Gordon for his passion for scripture and his commitment to storytelling. 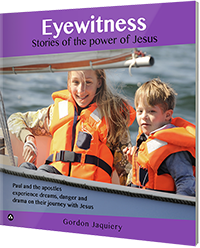 This third book in the Eyewitness series contains 17 more stories from the life of New Testament character Paul and the apostles as they encounter dreams, danger and drama on their journey with Jesus. 38 pages, with full page colour photographs placing each story in a modern setting. The stories are told from the unique perspective of people such as Philip, Thomas, Ananias, Luke, Timothy and Paul. These stories are original and fresh. They give new life to the Bible and skilfully build a bridge to today’s children. I strongly recommend them. Brilliantly written stories from Acts! Hard to read them by yourself - they just beg to be read aloud to an audience. Big kids, little kids and overgrown kids- everyone will love them. 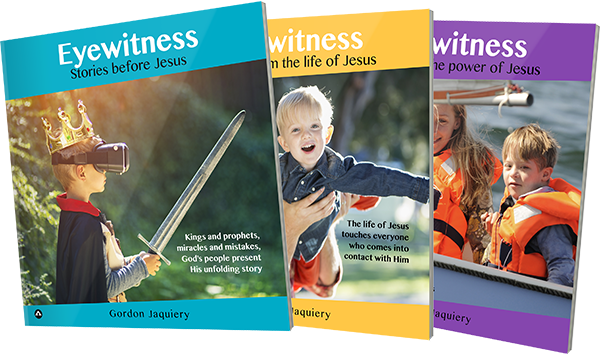 These Eyewitness books are an inspiration – beautifully illustrated, a modern interpretation of the Word of God in today’s language. They speak to people, young and old, about the “Wonderful Counsellor”, “Mighty God”, “Eternal Father”, and “Prince of Peace”. A very powerful message bringing blessing and joy to everyone who reads them in today’s fast moving world. These stories grab you from the start and are great tool for the budding storyteller and a fresh perspective and style for those of more experience. These books would be an asset for any church or home that wants to communicate the timeless Biblical stories in a fresh and captivating way. These stories are a bit like going to a really good children’s movie and finding that it’s been created in a way that is just as attractive to adults. 51 stories in three unique Eyewitness books.